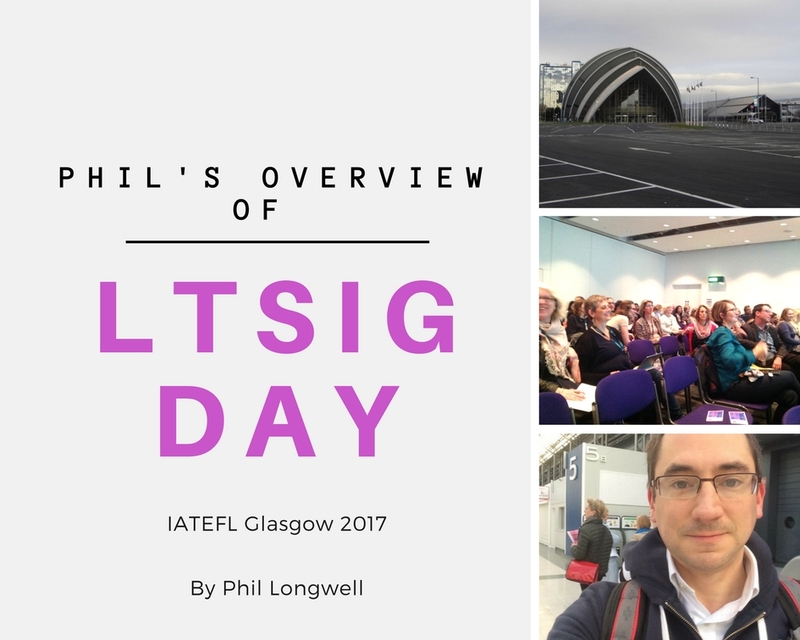 The LTSIG Day at this year’s IATEFL conference brought together many members and interested delegates who were keen to find out more about what the SIG does. There were five presentations in Boisdale 1 and two more in Forth, inside the Clyde auditorium. There was also an open forum where the joint coordinators, Shaun Wilden and Sophia Mavridi, spoke about the SIG, what it does, who is on the committee, while encouraging people to join. The day attracted a lot of keen participants and some willing volunteers, such as the man that helped out with a presentation of green screening. 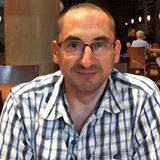 David Read looked at how the English Language Teaching Centre at the University of Sheffield had used four tools to create interactive EAP content – Articulate Storyline, Office Mix, edpuzzle, and H5P. David gave an overview of the pros and cons of each one, their features and how exactly they were used at Sheffield, before adding his recommendations. Sheffield Hallam University researchers Diana Conheeney & Maria Guiney demonstrated their rationale behind using videos created by their students as their assessment on one module. They gave lots of examples of students’ work, the marking criteria , the tools used and the timescale required to do this. They recommended two types of film editing software – mymovies and iMovie. Diana Eastment Scholarship winner, David Dodgson, spoke about the benefits of blogging, including his own research and experiences. It outlined how writing blogs brought about connected development and teacher reflection through a use of online networks. He quoted Julian Edge and other bloggers on professional development and reasons for blogging. His talk was interrupted briefly by what seemed to be some uplifting, revelatory music from the another room, which he used to great effect. Joanne Budden from British Council’s Learn English Teens talked about helping teenagers to thrive in a digital world. She looked at how to prepare students for a screen-obsessed world, digital citizenship and safety issues. Lots of advice was offered for teachers working with teenagers and how to navigate the minefield. She also highlighted a book ‘It’s Complicated’ by Danah Boyd, which I bought (for my sister-in-law) on Gavin Dudeney’s recommendation a couple of years ago. Joe Dale entertained the audience with a practical workshop on green screening, using the iOS app Green Screen by Do Ink. He looked at the ways this tool could be used for speaking activities in a creative and interactive way. There were some funny moments in this fast-paced presentation, including playing around with the looks of some brave volunteers. Dale’s holistic understanding of the technology really came across in this dynamic presentation. Another technology and digital literacy expert, Nicky Hockly took us through ‘Myths & Monsters’. This was an analytical assessment of the extent to which digital technologies actually help students to learn more effectively. She invited the audience to discuss four assumptions. One myth she wanted to put to bed for ever was the idea of the ‘digital native’, before looking at research carried out with young English language learners. She was also there to sign her new book, Focus on Learning Technologies’, which was launched at the conference. Nicky’s business partner at the Consultants-e, Gavin Dudeney took us through ‘The Teacher Technology Toolbox: the essential guide’, which ended the day in a naturally light-hearted way. He compared 20 technology skills every educator should have had in 2005 and in 2014, according to THE journal. His slides are available at: traintodo.com/ltsigday.